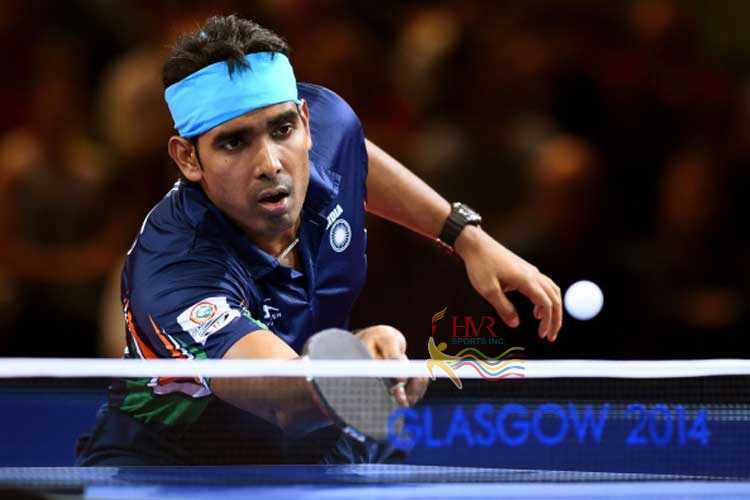 Hyderabad: Achanta Sharath Kamal has been provided the top-seed men’s singles slot in the Senior National Table Tennis Champiunship for the first time in two years since 2013. Just a year before, at the Raipur Nationals, he was seeded No. 6 after he chose to skip national ranking tournaments the previous year. But he was restored to his position in Patna and in the next edition at Pudhucherry Sharath had given a skip to the Nationals last year. This No. 1 seeding generally goes to the top paddler in the country, purely based on the ranking points he or she has garnered through regular participation in national-ranking championships. Sharath did not participate in any such championships in the past two years for various reasons — personal commitments with his German club and owing to intermittent injuries. However, he has been cautious of his world ranking and, as a regular participant in international circuit events, has kept it somewhat intact through decent performances. Just before the hip injury he sustained during the World Championships in China, the ace Indian paddler had touched the peak of his career with the world ranking of 32 in May 2015. He was in a phenomenal form, having toppled two world’s top-20 players during that period and jumped 12 places. No other Indian had done that before, nor will any in the near future. That speaks volumes of the caliber the man possesses. However, probably an error of judgment on his part he hurried with his return to the Asian Championships at Pattaya has cost him dear in recent times. Yet another injury just before the Commonwealth Games at Surat had prevented his participation. So much so, his world ranking has taken a beating and, according to the ITTF’s January list, he is placed No. 67 by far the best ranked Indian. These are reasons enough for the competition department of the Table Tennis Federation of India (TTFI) to give him the top seed for the men’s singles main draw, which begins in the 77th Senior National and Inter-State Table Tennis Championships at the Kotla Vijay Bhaskara Reddy Indoor Stadium in Hyderabad on Saturday.